Arie Anton van Oostveen, a former volunteer from the Netherlands, has donated €14,000 to the day care centre in Prejmer, Romania, where he participated on a Teaching project in 2010. His donation, handed over in September 2016, makes it possible to hire extra staff members, buy new educational supplies for the children and gives an additional group of children the care and support they need. When Arie Anton van Oostveen (71) applied for the Teaching project in Romania in 2010, he wanted to give more purpose to his retirement, instead of sitting idly at home. He wanted to give back to the community while spending time abroad. He could not have imagined that his two-month long volunteer experience would continue to impact his life and the lives of the children in Prejmer years later. When getting ready to depart at the end of his placement, Van Oostveen learned that the day care centre would most likely be closing due to the loss of funding. “The people in this community have a good heart and they deserve to get opportunities as well”, says the former volunteer. With the aim of supporting underprivileged and socially disadvantaged individuals and groups, he founded Stichting Klim-op (Climb-up Foundation), and began financially supporting the day care facility. “Every year, I pay the salary of one teacher which allows 30 children to get day care”, says Van Oostveen. Additionally, he sometimes donates a bit extra for clothes, food or educational supplies. Every year, the Dutch municipality of Nunspeet, where Van Oostveen lives, supports a foundation that offers aid in developing countries. Last year, he got the opportunity to raise awareness about the day care centre’s situation while fundraising for his foundation within the municipality. Van Oostveen received generous donations from the church, local businesses and citizens. 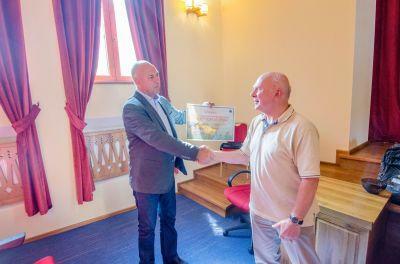 The amount raised was doubled by the municipality and he ended up donating €14,000. This money will be used to give more children after-school care, to buy new educational supplies and to provide educational and psychological support to both the children and their parents. This will also help improve the home situation of the children. Van Oostveen’s work did not go unnoticed in Prejmer. When he travelled to Romania to hand over the cheque, the priest and the mayor were present at the ceremony along with the staff and children from the day care centre. “Everyone is very impressed with Arie’s involvement in Romania, even while he is living in the Netherlands”, says Alexandra Ichim, the project manager for Projects Abroad in Romania. “It is very special to see that a former volunteer stays so committed.” To Claudia Mihaiu, manager of the day care centre, Van Oostveen’s help is far more than just financial. “His continuous help is an extra motivation and encouragement that there are still good and generous people in this world”, says Mihaiu. Projects Abroad has been active in Romania since its founding in 1992. Projects Abroad has worked with the day care in Prejmer since 2006. Besides Teaching and Care volunteers, volunteers from the Journalism , Drama and Dance projects also help to organise extracurricular activities for the children. 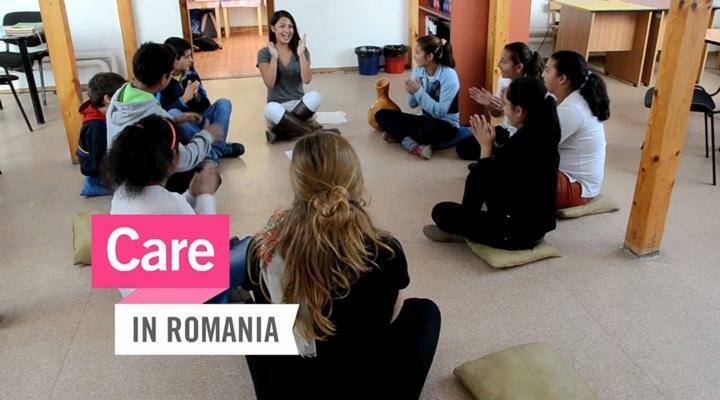 Read more about the different projects in Romania .